The modern phone is pretty miraculous. Your average example is essentially a piece of sci-fi kit made material, able to provide instantaneous communications under most conditions, navigation, a flashlight, compass, a library of ebooks and the sum of all the worlds knowledge (plus videos of dogs) by way of the internet. 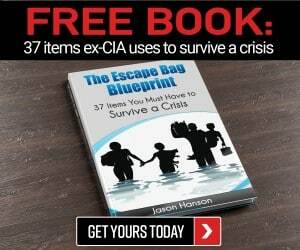 Truly they are a great resource for any prepper, and one of the hallmarks of civilization in the modern era. Love it, hate it or lose it, the phone is here to stay, and if you’re smart you’ll plan to keep that little glowing brick supplied with sweet, delicious power as long as you can. The rub, of course, is that if there is one thing you can probably count on in a disaster it will be a distinct lack of access to the power grid. Maybe it is lights out from damage. Perhaps you are miles and miles away from the nearest power pole and outlets. Whatever the reason, all care about is keeping that phone gassed up to make use of all its many wondrous functions. And your 50 GBs of funny dog videos. Lucky for you there have never been more ways to get some juice into your device when you are off the grid. In this article, we’ll take a look at different solutions, from the simple to the sublimely advanced. So close those other tabs and read on. Think of your off-grid power supply solutions like a SCUBA tank for your phone and other devices: The longer that tank can provide “air” the longer you can stay “under”, meaning the more juice you can hold, or generate, the longer you can stay off the fixed power grid and keep your devices turned on. Some will give you no more than an extra charge or two, being essentially spare battery packs in one form or another. Others can actually generate or capture energy being produced by some other task, and are capable of fulfilling more than one role in your BOB. 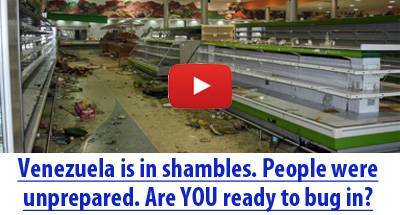 That’s always an important consideration for any prepper. Also keep in mind you should have at least two options for off-grid power. Redundancy is important, as usual with our planning, but more than that your situation will determine how viable a charging method is at any time. You surely cannot use a solar array at night or on an overcast day, and you probably won’t want to burn the charge in your power cell when you have plentiful sunshine available. There is no true all in one solution, so have a look at the suggestions in this article and determine which ones will suit your plan and situation the best. Don’t forget your basics. No matter which options you roll with, you’ll want to keep at least two long charging cables specific to your device in your kit. You’ll scream when you go to charge your Apple device and only have a micro-USB cable. A longer cable gives you more options for placement and keeping the device out of the way while charging, and I have yet to use any of any make that would truly hold up well under harsh conditions and rough handling. Treat those cables like consumable items and pack accordingly. You should also plan around the number of devices you will need to keep charged. These are power-hungry little goblins, so don’t fritter away time and charge on keeping the whole family’s iPads turned on. To accommodate multiple devices, you’ll need a charging solution that can charge two or more at a time, run multiple chargers or plan to rotate which device is charging. This can create logistical difficulty as most of these options will not charge a device as quickly as a wall outlet. 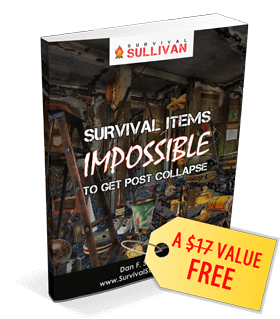 Below are a list of options that you might consider for your forays and bug-out preparations as well as their perks and flaws. As mentioned above, you may very well want to use two or more depending on how device-centric your plans are to cover all contingencies for keeping power flowing. Simplicity at its finest. 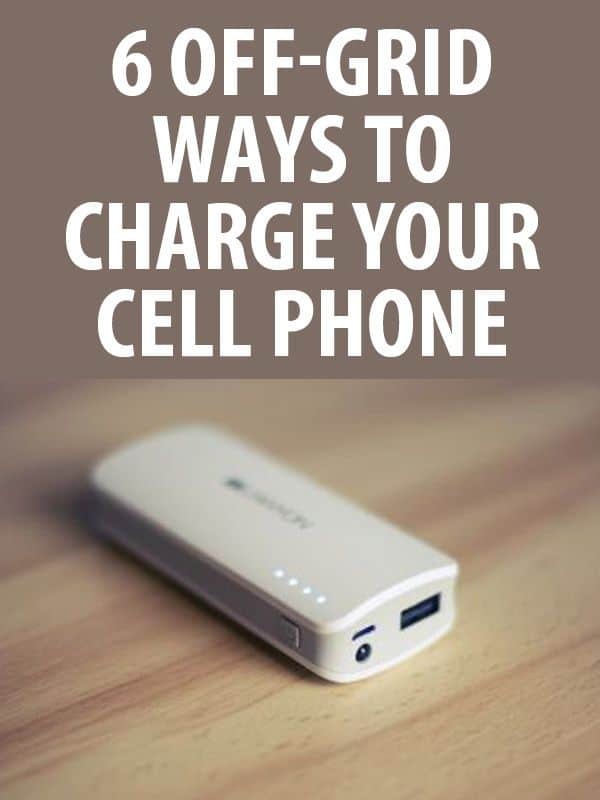 If you can commit to keeping a spare battery or two for your phone charged, either on a charging dock or by swapping batteries in your device, and ready to grab when the time comes you can effectively double or triple your up-time between recharges. This is only applicable to devices that use a detachable battery, obviously, and depending on what make and model of gadget you use spares can be either dirt cheap or quite pricey. 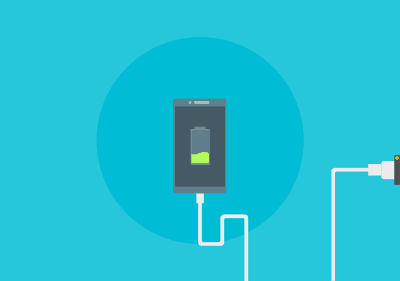 The other issue is even high-quality phone batteries will slowly lose their charge over time even when out of the phone, so this is one of those solutions you need to commit to in order to ensure readiness. Pros- Fast and simple to re-up device, just change batteries. Light weight. Cons- Must be committed to keeping batteries topped off for readiness. May be expensive. Some devices have built-in battery. The next obvious step up the food chain from a spare battery, an external battery in one form or another can provide multiple recharges, even for multiple devices, and even provide power quickly enough to let you run your device directly off of them. These units will either need to be charged themselves or utilize disposable batteries to let you feed your devices. Their form factors, weight and efficiency vary greatly, from small, phone or stick sized units to larger, bulky ones that look like small electric generators. Some have additional features like built in radios, small lights and other conveniences. One of my favorite super-compact units is the Anker PowerCore. Pros- Reliable, effortless supply of power. Size and performance to fit every need and budget. Handy to use on the move. Cons- Can only store or transfer power, not generate it. Some are very slow to charge. If you are bugging out by vehicle, or even using it as a mobile campsite, a car adapter makes too much sense to not have. Some of you will already have one plugged in. Even if you aren’t a vehicle-centric prepper, keep one in your BOB to take advantage of any abandoned cars that still have juice in their batteries. Keep in mind some vehicles do not supply power to the outlet when turned off, or after a certain “courtesy” delay expires after shutting down. Your choices here are either a plug-in with integrated cable for your device or the universal type that is a plug-in with USB sockets. Whichever type you choose, it is a good idea to ensure it can charge two devices at once. Pay extra attention to quality here, as many cheaper and even a few pricier options charge at a very slow rate, slow enough that you may not be able to keep the phone powered up when making a call if your battery is on fumes. Pros- Very convenient when in or around vehicles. Inexpensive. Cons- Often charge slowly. May require vehicle running to supply power. The darling of backpackers, hikers and anyone who is staying off grid for quite a while, solar chargers utilize the copious power of the sun’s rays, converting them to electricity and allowing you to charge directly off the solar array, or converting and storing the energy in an integral power cell. This technology works better and better every year, and is also more affordable than ever, so it makes a fine choice with a few caveats. First, quality and efficiency varies wildly on these units, as does price, so do your homework before buying. Second, they are obviously dependent on the sun to function. Overcast skies will dampen their efficiency; a very cloudy day will reduce it drastically, and you can of course forget about it at night. Lastly, they require a little care and baby sitting in setup. The sun moves across the sky on its daily rounds, and to get the most juice while you can the solar collectors must be aimed square to the sun. Once it starts getting “off-angle” efficiency drops. Despite all that, many of these are surprisingly compact, light and efficient. 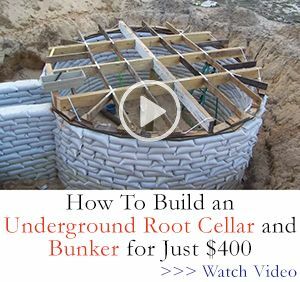 A great option for most preppers. GoalZero’s Nomad series kits are superb and modestly priced. Pros- Charge your devices anywhere you have access to the sun. Fuel source lasts ≈5 bil. years. Usually pretty light. Cons- Can be fiddly to setup and arrange for best efficiency. Can be expensive. Completely dependent on the sun. Impressively high tech, these little wonders turn heat into electricity and most allow you to cook at the same time, a truly dual-use piece of kit. Though their designs and features vary, they all work on the same basis: you light a fire, and the longer and hotter it burns the more power will be supplied. I love these for their two-birds-with-one-stone appeal, but most are surprisingly fuel hungry gadgets. Some burn wood (twig sized or pellets) and others utilize various bottled fuels. A tip: spend a little extra time to verify your cookware will rest easily on any given design as some units (like BioLite’s excellent camp stove) are a little taller than most standard backpacker stoves. Obviously there are some drawbacks to these units: they require fuel, and are generally fuel-hogs when it comes to charging up your devices. This is ameliorated if you are using the stove as intended, to boil water or prepare food. Also they cannot be use on the move for charging. Well, you could use them on the move, but lots of luck to you. Do let me know how it works out. As I mentioned a moment ago, BioLite’s Camp Stove series are one of the premier units in this category, having a very intelligent design and useful technological features to help you make the most of your charge time. The Camp Stove is also well-known for burning very hot and cleanly with just twigs, and though it must be fed regularly is just as good a stove as most of its competitors, in addition to its charging capability. There are other off-the-grid options for charging your phone and other devices, but among the truly portable options I have covered the most reliable. There are tiny windmills that can be set up or affixed to vertical surfaces that are designed to turn even in a modest breeze and generate power. I have no personal experience with these miniature turbines, but reports I have gathered report them to be fussy, fragile and not worth the trouble. Another contestant in the mini-green energy category is a sort of hydroelectric turbine on a drogue that you can drop into a fast flowing stream. These nifty units trail a cable back to its base station on dry land allowing you to charge your devices. The logistical concerns with these units are not insignificant (is fast flowing water more or less common than sunshine?) but they do offer some big advantages. Hydroelectric power is very efficient, and near the right body of water, very plentiful. The few hydroelectric chargers on the market charge significantly faster than competing solar charging arrays. Another advantage would be the ability to charge day or night, unlike our trusty solar options. These little guys are pricey and bulky compared to a solar array, but might be ideal for preppers near many flowing streams or rivers. Blue Freedom makes one of the premier units of this type. Just because you are off-grid or the grid is hard-bent does not mean you have to watch your mobile devices lose power and go dark. The latest generation energy storage, management and generation technology is more effective and affordable than ever, letting you take several recharges worth of juice with you in a small footprint, or create your own power nearly anywhere. With the right gear and conditions, you can make use of your glowing brick wherever you are. I was going thru some storage containers from a recent move and found a uninterrupted power supply unit for computers. I also have a 18W solar panel with a controller that connects to a 12 volt battery and a 600 W inverter. Do you think that the solar panel will keep the UPS charged sufficiently for the SHTF usage? I may not remember to return to this website soon so please feel free to reply by email. UPS’ are only meant to hold a short charge in the event of a power outage or surge so you have just enough time to shut down your expensive PC hardware. Times vary depending on type of UPS and how much energy is being drawn obviously, but I wouldn’t expect more than 30 minutes as an average. You’d be far better off making a power bank from car batteries or deep cycle marine batteries to charge with your solar panel.